You might well wonder how such a large and popular flea market could have sprung up in so unassuming a small, agriculturally based town in the rural Newbury Township of northern Indiana. It all began in 1922 with a man named George Curtis. Having a surplus in livestock, he held an auction at his home for six pigs, seven cows, and several head of cattle. The auction was so successful that he did the same thing the next year. Then again. And again! His auction business became so popular, he found he needed to build a barn to house it. Shortly after that, it occurred to him that a restaurant to feed all the folks his auctions were drawing might be a good idea, so he opened one in his garage. As the years passed, the auctions continued to grow, becoming part event/part tradition for the area. 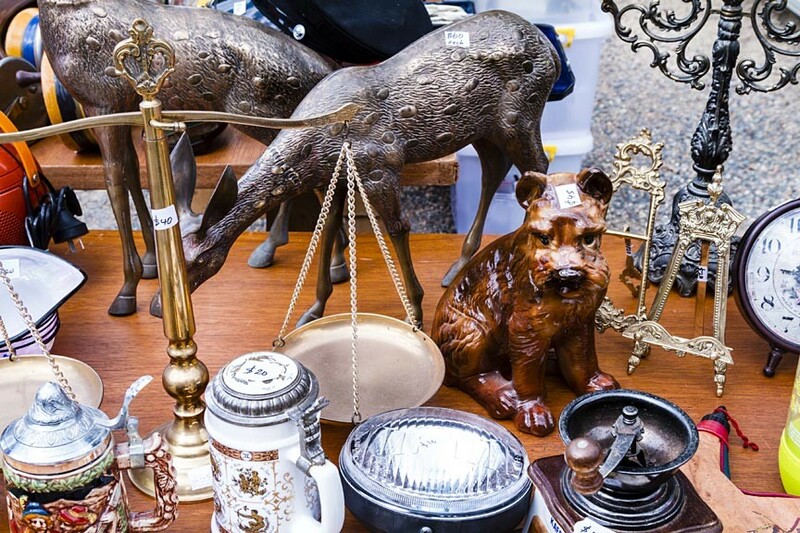 Folks attending the auctions would bring their own goods to sell from wagon or car trunk and the flea market aspect of the auctions began to grow. By 1946 it was decided to formalize this, too, by building a roof for the ever-expanding flea market sales. The Auction Restaurant got its own, proper building some four years later. Eventually, the flea market eclipsed the auctions – and from then on, the Shipshewana Flea Market never looked back. Shipshewana Flea Market now includes auction houses, the flea market, farmer’s market, antique galleries, restaurant and food courts, a conference center, RV park, and corporate offices. George Curtis wouldn’t recognize the place but we’re sure he’d be proud and would likely find something to buy – and so will you! Scottish Bed & Breakfast, located in Bremen, IN, is an easy drive from the Shipshewana Flea Market and many other Northern Indiana attractions. Our location in charming, Amish Country Indiana, makes us an ideal home base from which to go exploring – allow us to help you plan your itinerary! This entry was posted on Wednesday, July 16th, 2014 at 10:00 am and is filed under Adventures in Northern Indiana. You can follow any responses to this entry through the RSS 2.0 feed. Both comments and pings are currently closed.